This entry was posted in Sunday's Gem and tagged agate, healing gemstones, metaphysical healing, properties of Agate. Bookmark the permalink. I’m glad to see those marbles in the list! Aggies were the “best” marbles when I was a kid — except for the steelie shooter, of course (which was against certain playground rules), cat’s eyes, and those clear, differently-colored “glassies” that were just beautiful when you held them up to the sun. I want my marbles back! I don’t even know what happened to them…. You got rid of your marbles?? Shocking! I still have mine, and when I hold the “special” ones I loved as a kid, I’m a kid again! I even had names for some of them, ha! Of course, the girls weren’t as “into” marbles as the guys were, but my dad insisted my sister and I learn to play with them (he didn’t have any boys!). By the way, do you see how I naturally assumed your beautiful necklace was made from Agate?!? 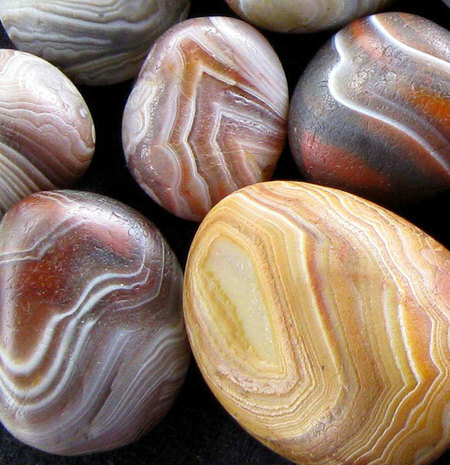 As a boy, we would use an agate as a “shooter.” it was big and powerful and would send the glass marbles flying out of the ring. Thanks, Debbie. Brought back some nice memories. Ah, I’m so glad, John. It’s today’s kid I feel sorry for — you never see them playing marbles to solve debates and little dilemmas! Nope. The marble circle was the UN of our youth. Certainly a multi-tasking gem! And so pretty in a deep and wise way. Aside comment—haven’t seen kids playing marbles in awhile but I did see a group playing “Lava on the Floor! So all is not lost! For sure, Domer never played marbles. I imagine stepping on a marble in the middle of the night ranks right up there with stepping on a Lego!! Debbie, you taught me something that I never knew about Agate. And how interesting! I love the photographs you shared on this gemstone because you can see the massive variety of colors. Each and everyone is so beautiful! Once again, my friend, you taught me things I never knew about gemstones, so thank you! Ron, I’m delighted you found this post interesting and informative. That’s what I was hoping to accomplish by these healing gemstone posts and to hear I’ve succeeded makes my day! 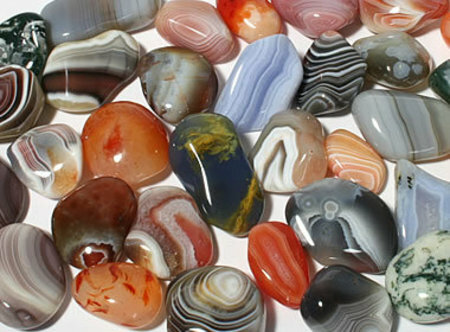 Aren’t the colors of Agate magnificent? All those swirls and designs are mesmerizing. To think folks used to tie it onto the horns of plow animals in an effort to have a successful harvest goes to show how important a food supply has always been. Beautiful stones, Debbie. I believe the largest collection of marbles is here in Nebraska strange enough. Thank you for dropping by, Professor. Practicing hard these days? Any competitions coming up? Ummm….no competitions but always playing too much lol! Never too much! Perfect practice makes perfect, right? ?